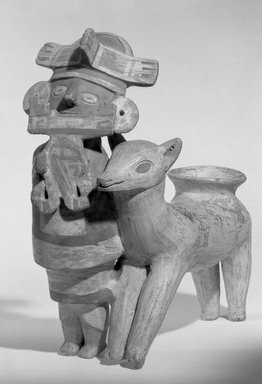 Effigy vessel in the form of a human figure playing an ornate panpipe or antara, standing adjacent to a llama. The mouth of the vessel is located on the llama's back. Cream, white, red, orange and black slips embellish the surface. Condition: good; a top element of the headdress is missing.